Covering the main equine drugs available today, this comprehensive handbook includes dosages and adverse reactions as recommended by the manufacturers. A listing of hematological, biochemical, physiological, and therapeutic data is included. 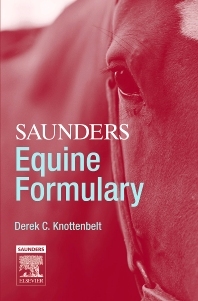 Trade names are included with generic names, and all brand names from the drugs are removed to make this book relevant to everybody working in the equine field all over the world, whether veterinary student or equine specialist.